Looking for that WOW factor when planning your next school festival, church carnival or birthday party? Well look no further! Grab your boots and cowboy hats, it's rodeo time! Let your guests find their inner cowboy or cowgirl while having the time of their lives or climb aboard our trackless train. Let your athletic and competitive side shine when you compete on the Monster Obstacle Course or Adrenaline Rush. Guaranteed to challenge even the most athletic! Let us be the next WOW in your event. Wow, a train with no tracks! 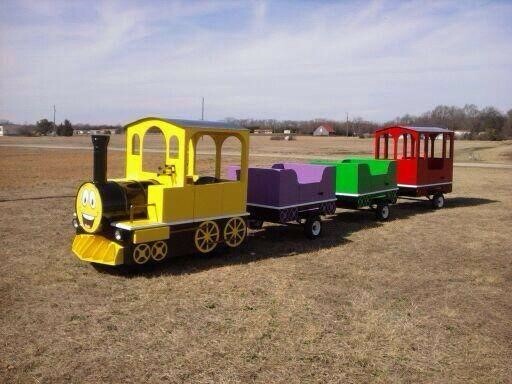 That's right, our Trackless Train is exactly that TRACKLESS! That means our train can travel on just about any flat surface: grass or hard surface! An ideal location would be a parking lot or residential street. Our Trackless Train is a wonderful addition to birthdays, festivals and all events. 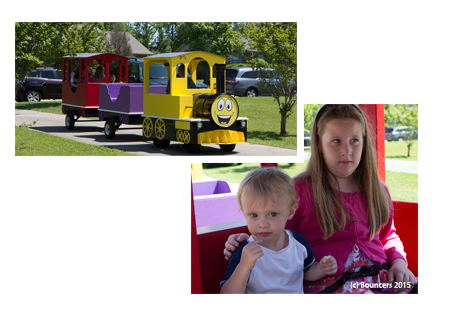 If you are looking for that extra WOW factor for your next birthday party then make it a Train Party. 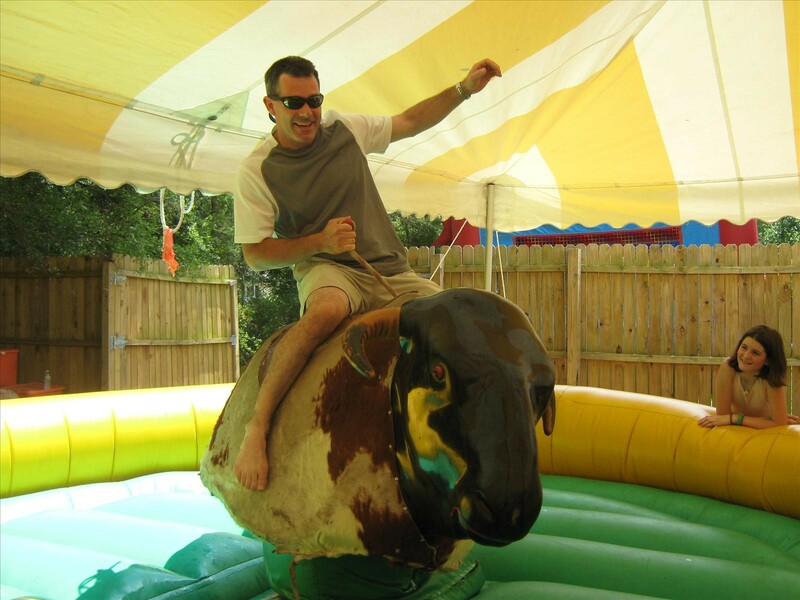 The Mechanical Bull has become one of the elite ‘must have’ pieces of western entertainment equipment for theme parties, balls, promotional events and company fun days. Our Bucking Machines are of the latest design and are fully controllable and safe. All ages from 3 years to 70 can enjoy the experience of mechanical bull riding regardless of ability. The Mechanical Bull is totally controlled by the experienced operator and is a safe ride. Slide With this one being 78ft long you'll have a blast as you race jump, tumble, duck and dodge throughout this obstacle. You'll be sure to look back to see how far the opponent your racing is behind you in this obstacle and with a sliding finish at the end to see who wins the race!